Today very early in the morning, we went to the hospital for a busy day with our brave Mohammed and his awesome father. When I saw Mohammed’s dad, I remembered the true love of a one father for his children. 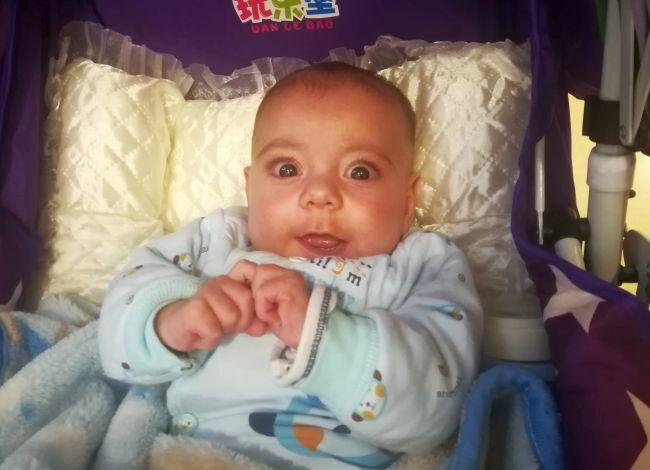 Mohammed had an appointment with his neurologist; the doctor read the result of the EEG but he did not find epileptic activity and his pattern of sleep is normal. Mohammed does have a problem with his brain which means the electrical activity between the hemispheres is different. He will need an MRI in the future to know more about this. For now he needs to continues with physiotherapy and will be monitored by the neurologist as he develops. After that we went for an echo. He cried a lot but his amazing father tried every moment to give him calm and peace. When he was in his safe place (his father’s arms) he only smiled. Finally the cardiologist came and told us that he can start drinking regular milk, and his medicines will stay the same, but he looks much better than before. 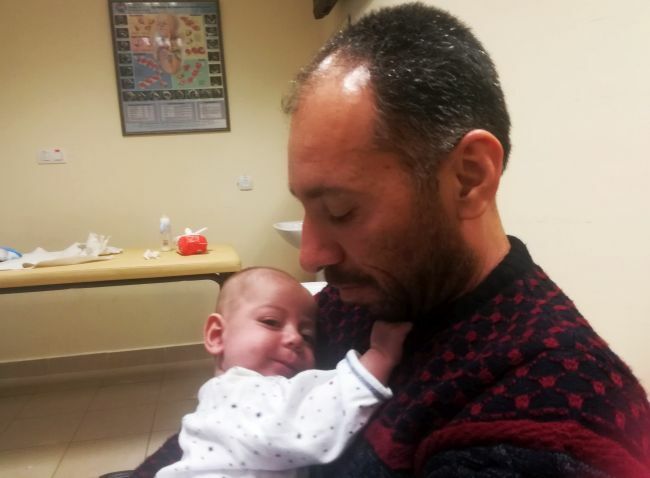 The cardiologist will decide the next step for Mohammed in two weeks time when he has another echo. Please pray for the best plan for Mohammed, and for him to be completely healthy and for peace and strength in this time for his father.